The Ohio River Museum opened at its current location in 1972. 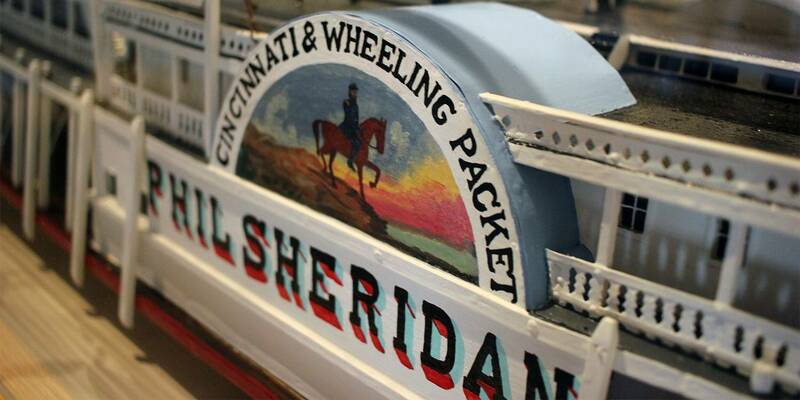 This museum features exhibits recounting the history of the Ohio River and the many different types of boats that have been transporting people and cargo for hundreds of years. The Sons and Daughters of Pioneer Rivermen have provided many of the steamboat artifacts that are featured in the museum. Their pride in sharing the history of our inland waterways and with the public and their continued support of the museum is greatly appreciated. Free parking is available in the museum parking lot. Ohio River Museum is also wheelchair accessible, except for W.P. Snyder. 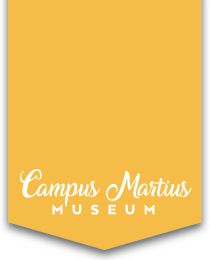 If you planning a visit to the Ohio River Museum, also make time to see Campus Martius Museum, just a three-minute walk from the Ohio River Museum. ** Tours available by appointment. Ohio River Museum additional open days: Friday, September 6, 2019 & Friday, September 13, 2019! See our groups page for school and workshop rates. We are a Blue Star Museums Participant! Blue Star Museums is a collaboration among the National Endowment for the Arts, Blue Star Families, the Department of Defense, and museums across America. Each summer since 2010, Blue Star Museums have offered free admission to the nation’s active-duty military personnel and their families, including National Guard and Reserve, from Memorial Day through Labor Day. The Ohio River Museum is located at 601 Front Street, Marietta, Ohio, one block from Ohio State Route 7, and minutes from I-77. The museum is just one block away from Campus Martius Museum. Plan on touring both during your visit! Use the interactive map below for specific driving directions.